Looking to form a music-project (eventually, a full-cast Band) in the genre of Black Metal, with Dark-ambience and a slight touch of orchestral hallmarks with synth and piano 'here and there'(as/when needed). Influential bands and artists will be entered around; Burzum, Mayhem, Darkthrone, Old Funeral, Múm, Meshuggah, SlipKnoT, Cryo Chamber (label) [A label founded by Simon Heath of Atrium Carceri], Danheim, Wardruna, Paleowolf, and Tool. 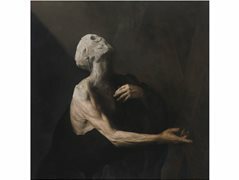 As well as being a very primal, and very earthy and relaxed feel, it also is going to be a feeling distraught that is near-incomprehensible to explain in terms of vocalising the distress and misery, but also disgust and distaste at a world engulfed in materialism and political-correctness. A very welcoming approach toward hyper-extreme-controversialism. Casting/applications of interest for now.